Each year the Town Of Danville offers Parents Night Out through the Recreation Department and the Danville Community Center. This event allows parents to drop their children off at the Danville Community Center for games, crafts, and child centered events while parents complete their holiday shopping and to do lists. 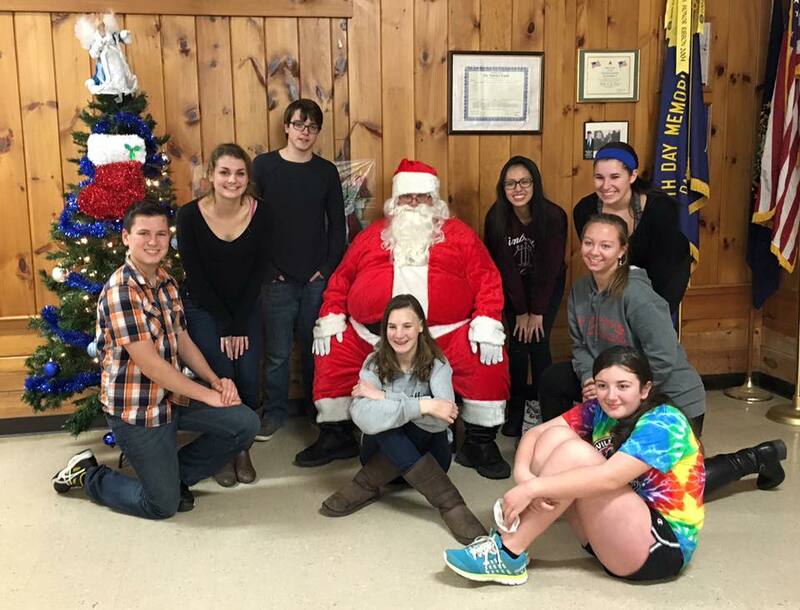 This year, through our Community Partnership with the Danville Recreation Department, students from the Timberlane Regional High School National Honors Society volunteered to lend a helping hand on Friday December 11th and Friday December 18th. The students helped to set up the event and worked with staff to help run all of the activities for the evening. Thank you to the Danville Recreation Committee Vice Chair Stacie O’Connor for organizing the event and working with our students throughout the afternoon and evening. They were certainly happy to lend a hand during these two evenings. As a community partner the Timberlane Regional School District looks forward to many more opportunities to work with the Danville Recreation Committee and support their upcoming events. Timberlane Students lend a helping hand at the Danville Community Center Holiday Parents Night Out.